The Urakami family was a renowned samurai class household whose antecedents held such important positions as the shugodai (the military governor’s representative) of Bizen in their role as high-ranking vassals to the Akamatsu clan of the Harima domain, one of the four leading families under the Muromachi shogunate. The family originated in the Harima domain, and according to the family tree handed down in the Urakami family, Takeuchi-no-Sukune, a figure active in the early Yamato imperial court and mentioned in Japan’s ancient historical texts, is their distant patriarch. They are also descendants of the Heian period poet Ki-no-Tsurayuki. The Muromachi shogunate noted the profound contribution made by Urakami Norimune to the Akamatsu family and rewarded him with both position and special privileges, with the hope that the military power of his overlords the Akamatsu family would be used for the benefit of the shogunate. The history of art text Koga bikô states that the great master painter Sesshû completed a Tenjin Traveling to Tang China painting for Norimune; that in itself conveys a sense of Norimune’s importance. High-ranking Buddhist cleric also emerged from the Urakami family, including the Rinzai sect priest Shûhô Myôchô (Daitô Kokushi) who founded Daitokuji temple in Kyoto. After Norimune’s death the family was led by Muramune, and in turn, his eldest son Masamune. 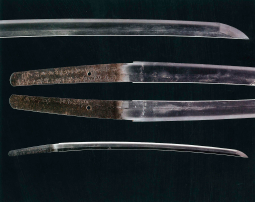 Sharp differences of opinion about policies towards external enemies led to a fierce conflict between Masamune and his younger brother Munekage. The sibling rivalry ended with the younger Munekage victorious. Munekage then went on to achieve great power in western Harima and eastern Bizen domains. However, in 1575 Ukita Naoie, a vassal who stood in opposition to Munekage’s rising power, captured and destroyed the Urakami residential castle, an event that marked the end of the Urakami family as a Warring States period daimyô (clan lord) family. 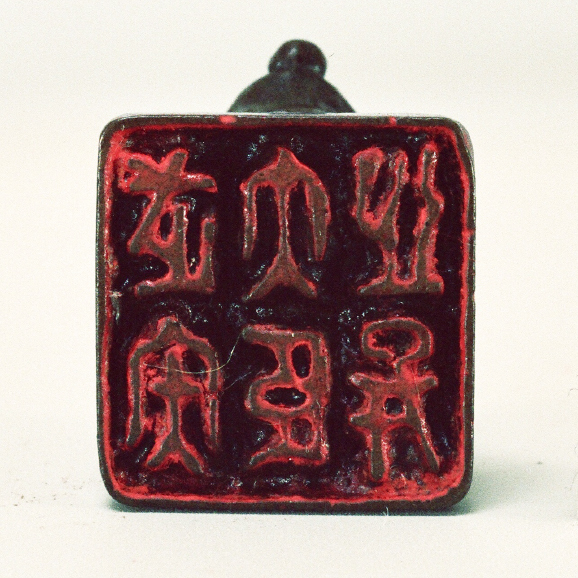 One of the seals used by Gyokudô. 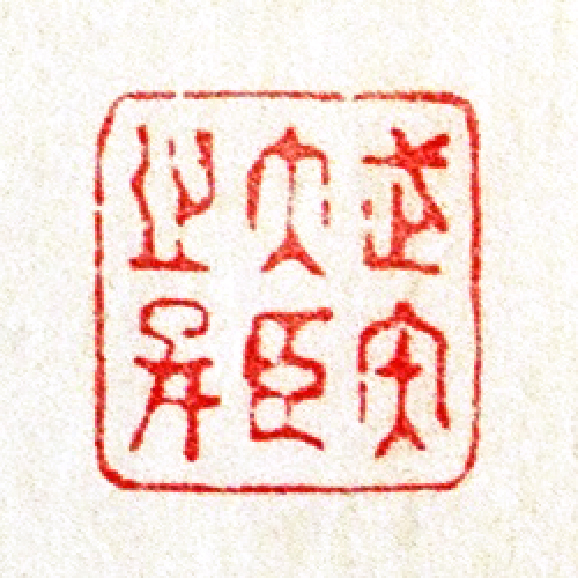 The seal reads “Takeuchi-no-Sukune no shison” [“Descendent of Takeuchi-no-Sukune], indicating Gyokudô’s keen awareness of his family history. Gyokudô’s grandfather Muneaki was a Kamogata clan member who served in Edo, and his older sister Otsune was the mistress of the Bitchû Kamogata clan founder Ikeda Masatoki (son of the Okayama clan lord Ikeda Mitsumasa). She bore the second-generation Kamogata clan lord Masayori and thus formed a close familial relationship between the Urakami family and that of the clan lord. Gyokudô’s father Munezumi established a family home in the Okayama Castle town, and it was this Urakami family branch that claimed descent from the medieval period Urakami family. While the exact relationship between the Urakami family who had vanished from the pages of history in Munekage’s generation and that of Gyokudô’s family is not readily clear, a hanmotsu (formal document)* written by Munekage’s elder brother Masamune has been handed down in Gyokudô’s family, and the addressee of that document, “Urakami Bingo no kami,” refers genealogically to the patriarch of Gyokudô’s family. Though Gyokudô resigned his clan position and left Okayama, his grandson Munehisa reestablished the Urakami family in Okayama. After the Meiji Restoration in 1868, Munehisa was named the deputy governor of the region. Munehisa was succeeded by Munetaka, who had five sons, the first two who died young while his third son Takeshichirô, fourth son Munetsugu and fifth son Hideo all survived him. Of these, Munetsugu inherited the family headship and established a company in Fukuoka city. Munetsugu’s eldest son Sadashi changed the company name to Hinode, Ltd., and today, the company is led by Sadashi’s son Noriyuki. This company that began by manufacturing and selling cast iron products such as manhole covers has since developed into a nationwide business and is today transforming itself into a providing-solutions organization. 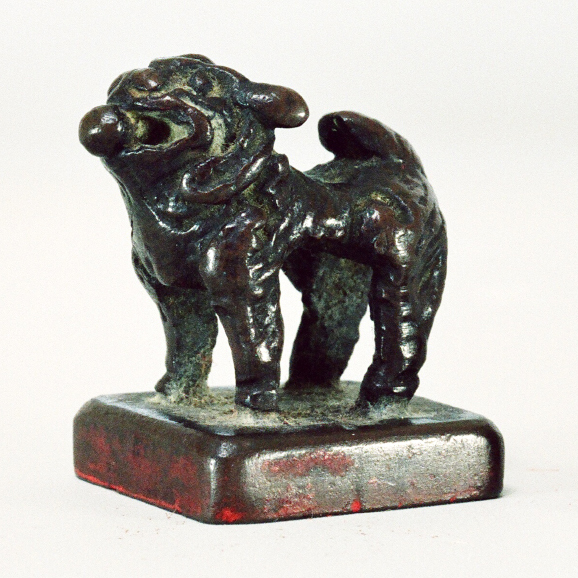 * Included in the Kibi kokanshû, an Edo period compilation of old documents previously owned by members of the Okayama domain, and the temples, shrines and residents of the domain. 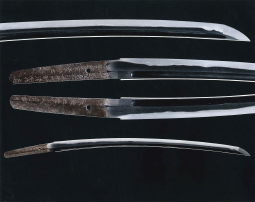 Urakami Munekage commissioned this sword from the master swordsmith Kiyomitsu. Centuries later Shunkin learned of its existence and acquired the sword.